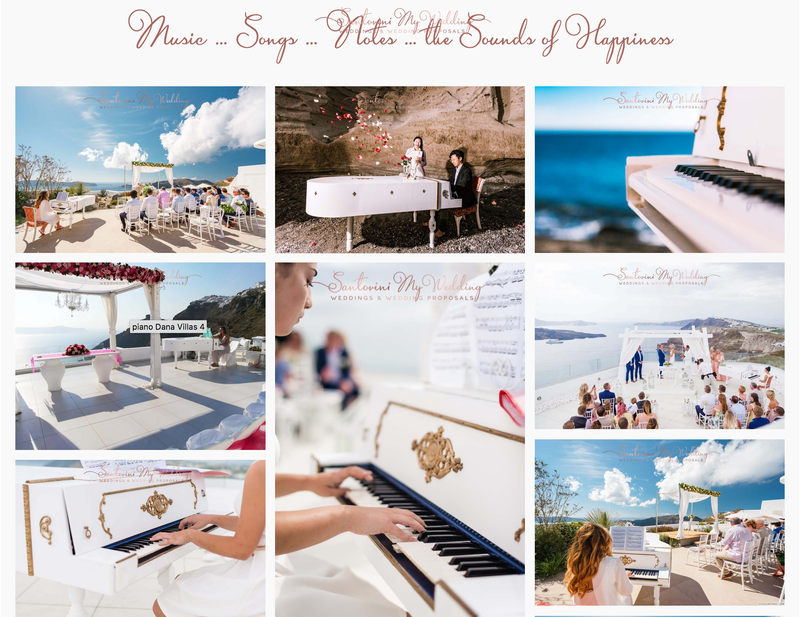 At Santorini My Wedding, we work with the couple from the 1st email to the big day. 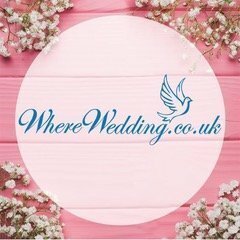 Once we receive the couple’s initial request for more information and how we can help plan their wedding, we send them our brochure, detailing the wedding packages we offer, including venues, prices and total costs. 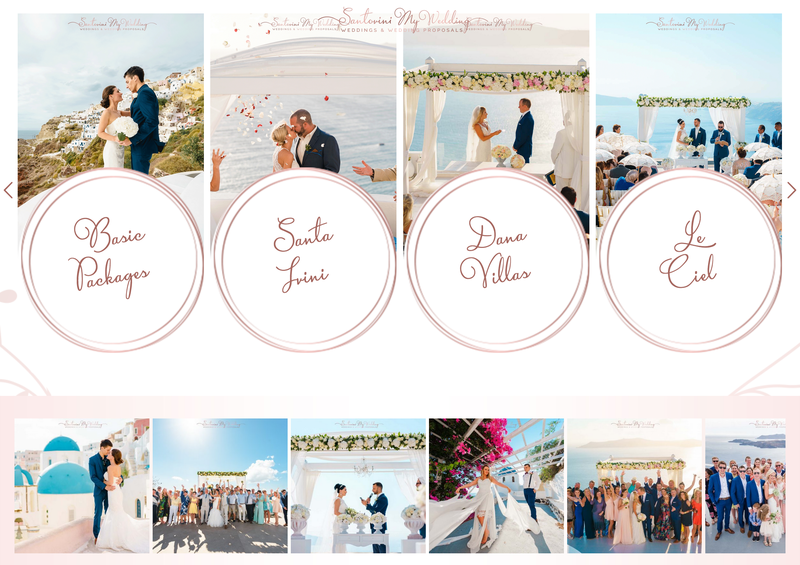 Each wedding package is carefully designed by our team of experts with every detail in mind. After reviewing the brochure, the couple chooses two of their favorite wedding packages. Our team then checks availability and confirms a date with the couple. 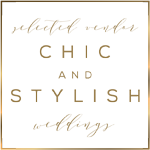 Once the couple makes the final decision for the wedding package they want, we are able to add or eliminate bespoke items or services as needed. After the date, wedding package, and cost is confirmed, the couple pays a deposit directly through PayPal, our online banking system, or credit card. 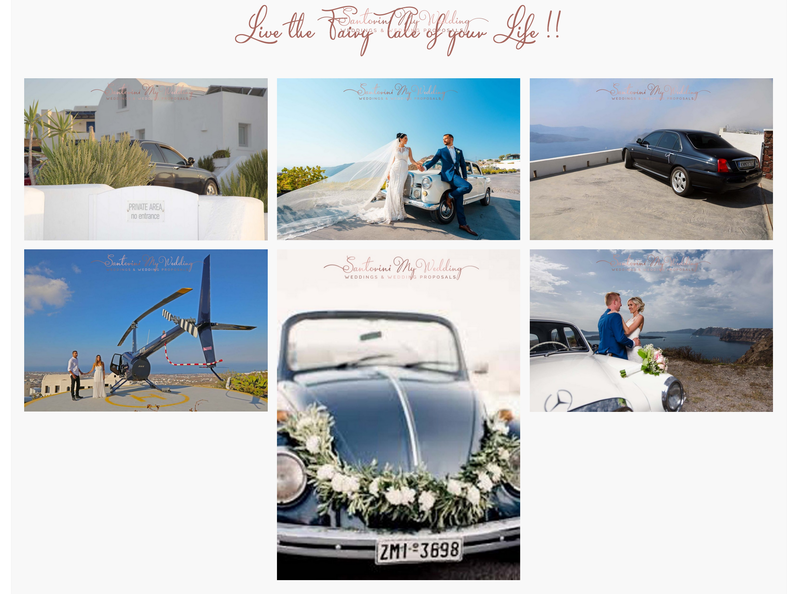 At Santorini My Wedding, we guarantee a well-organized, hassle-free, and easy process, as we are experienced professionals who have been working in the wedding industry in Santorini for many years. Once everything is confirmed and booked, we schedule a pre-wedding meeting with the couple prior to their arrival. The meeting takes place at their hotel to discuss the final details of their wedding, and also includes a visit to their venue. Our team of wedding experts, trained consultants, planners, and same-day coordinators work with the couple during the entire planning process. We go over every detail with you to ensure the couple has a stress-free day and nothing is missing. Our team is available every day of the week via email, WhatsApp, and Skype. During the pre-wedding meeting a couple of days before the wedding, we confirm all the services that will be provided on the day and answer any questions the couple may have. Once we have confirmed all the services, we will then visit the venue together where we create the day-of itinerary and go over any last-minute details. 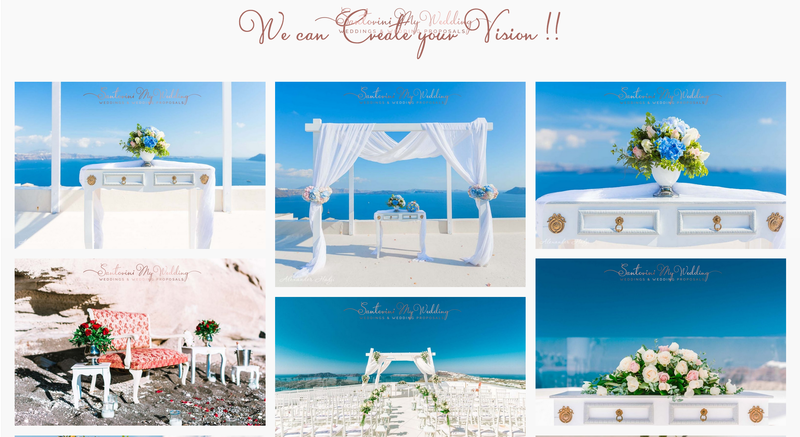 Once everything is discussed and confirmed at the pre-wedding meeting, our team takes it from there so the couple can relax and enjoy the beautiful island of Santorini. On the Santorini wedding day, the couple’s only responsibility is to get married! Our team works together to ensure that everything is taken care of and the wedding day is perfect.